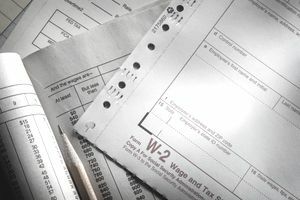 A W-2 form is a statement that must be prepared by employers each year for employees, showing the employee's total gross earnings, Social Security earnings, Medicare earnings, and federal and state taxes withheld from the employee. The purpose of this form is to provide the employee with information that must be included on his or her income tax form. It also gives the Social Security Administration and the IRS information to verify the employee's income tax return. When Is the W-2 Form Due? IMPORTANT CHANGE: Beginning with 2016 annual tax reports and for all subsequent years, forms W-2 and W-3 must be filed with the Social Security Administration (SSA) by January 31 of the next year. So, for 2018 tax payments, you must file by January 31, 2019. The change has been implemented in order to reduce tax fraud. The W-2 Form must be provided to employees no later than the end of January, with information from the previous calendar year. This deadline hasn't changed. The W-2s must include a transmittal form W-3 unless you are filing online with the SSA. The January 31 deadline applies to both mailed and online submissions to the SSA. Filing after the deadline may result in late filing penalties. Yes, you must file W-2s with the Social Security Administration(SSA) by the same deadline as you provide forms to employees. This is a good reason to give employees their forms early in January so that you can find and fix errors before filing with the SSA. Copy A goes to the Social Security Administration. Copy A is usually printed on a spacial laser-scannable red form. If you are filing a paper copy, you must use only the paper provided by the SSA. You can't just copy the W-2 form from the internet. As noted above, Copy A of the form is printed on special paper. You must use the official forms. You can get the official W-2 forms from a copy shop, some tax software programs (look for the small business version), or your tax preparer. What Information Do I Need to Complete W-2 Forms? In Box 12, you will need to indicate, for each W-2, if each employee participates in a retirement plan or a nonqualified plan with your company, if this employee is a statutory employee, or if the person received third-party sick pay. Box 13 of the W-2 requires information about deductions for employee benefit plans and other deductions that must be reported on the employee's income tax return. The instructions for Form W-2 contain a reference guide for Box 13 codes. You may want to add an internal control number on each Form W-2 ​if you are paying many employees. You can generate the number yourself, or your payroll preparation software may generate this number. Where Do I Find the Information for the W-2? The information for this form comes from your payroll register, which shows year-to-date totals for each employee for wages and withholding, along with deductions for medical plans, health savings accounts, and other items. You will also need a current W-4 form for each employee. The W-4 form is used by the employee to give you their address and social security number (or taxpayer ID number). How Do I Complete the W-2 Form? Once you've gathered all of your information and the proper forms, follow step by step instructions carefully to avoid any errors. How Do I Send the W-2 Form? Can I E-File? You send the W-2 form to the Social Security Administration (SSA) by the end of February. You can submit these forms online to the SSA using their Business Online service. If you have 250 or more W-2 forms, you must submit them to the SSA online. What If I Make a Mistake on a W-2 Form? Before you send off those forms to employees, check for errors. If you do make a mistake, you can easily correct the form and give the corrected form back to the employee. If the mistake is discovered after you have submitted the forms to the Social Security Administration, here's the process for correcting the form. You must also re-submit the W-3 transmittal form.